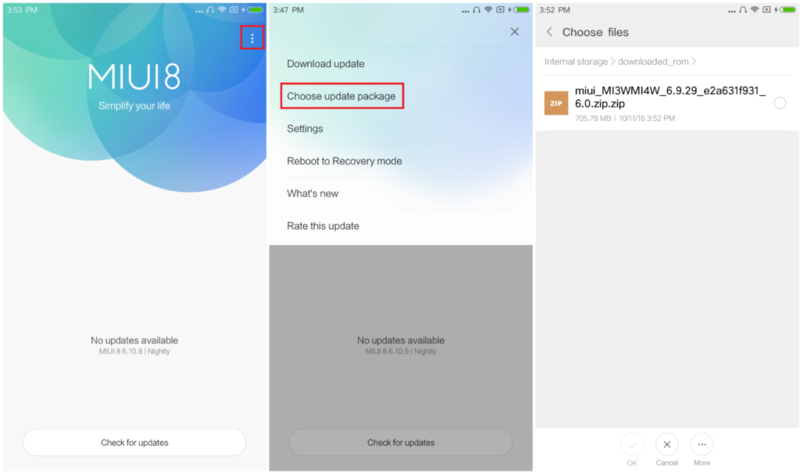 Xiaomi recently released MIUI 8.5 update for the Redmi 4A bringing various fixes for some popular issues raised by the community. The update, carrying the build number V8.5.1.0.MCCMIED, weighs in at 1.3GB for the flashable zip file and 1.7GB for the fastboot tar file, both of which are included down below. Launch Updater app on your device. Click the ‘…’ icon at the top-right corner. This method is exclusively for Unlocked Bootloaders. In case your bootloader is locked, refer to the guide here to unlock your Redmi 4A. Click on the first button (circled out in yellow) to Refresh, and MiFlash should automatically recognise the device. Now, click the second button (circled out in red) to flash the ROM file to the device. Wait until the progress bar inside MiFlash turns fully green, which means the ROM has been installed successfully. Then your device should automatically boot to the new version. Though the guide is simple enough, there are always chances of something going wrong. In case you get stuck or your device enters a bootloop, download the Mi PC Suite to restore your device.